Scott Brandt, vice chancellor for research and professor of computer science, has been appointed as the inaugural holder of the Sage Weil Presidential Chair for Open Source Software at UC Santa Cruz. The endowed chair was established in 2015 through a gift from UCSC alumnus Sage Weil, who also made additional gifts totaling $2 million to support research in open source software. Brandt said he will use the funds from the chair to support the Center for Research in Open Source Software (CROSS) at UC Santa Cruz. "Sage Weil's support helped us start a big research effort in open-source software here at UC Santa Cruz, and the endowed chair makes a permanent statement about the value of this work," Brandt said. "People often do great research projects as graduate students, but they rarely make the effort to turn them into something other people can use. One of the things that made Ceph so successful is that Sage was able to keep working on it in the context of his company after he graduated, and he wanted to make that same opportunity available to others," Brandt said. CROSS funds open source research projects, builds collaborations with industry partners, and selects promising projects for further development in the CROSS incubator. Three companies--Toshiba, SK Hynix Memory Solutions, and Micron--have joined CROSS as founding industry members, providing additional funding and serving on the center's industry advisory board. Director Carlos Maltzahn, professor of computer science at UC Santa Cruz, said the center is currently funding four research projects, and CROSS faculty designed an undergraduate course in open-source programming that was taught for the first time winter quarter. He said the additional funding provided through the endowed chair will help expand the scope of the projects supported by CROSS. "Initially, we've been focused on storage systems, but we would like to support open-source projects in many more research areas," Maltzahn said. "One of our new projects, for example, is a collaboration with the UCSC Genomics Institute on smart storage devices in genomics. It's still storage-related, but by branching out into genomics we're starting to see the diversity we want to achieve." Brandt's own research is in the area of computer systems, focusing on storage systems, real-time systems, and performance management. Brandt and Maltzahn supervised Weil's thesis research. 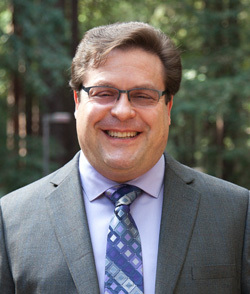 Weil was already a successful entrepreneur when he came to UC Santa Cruz in 2004 to study data storage systems. After earning his Ph.D. in computer science in 2007, Weil continued to work on Ceph with a small team at his web hosting company, DreamHost, then founded the spin-off Inktank to further develop the platform. Inktank was acquired by open-source software provider Red Hat in 2014. The Sage Weil Presidential Chair for Open Source Software is one of eight endowed chairs established at UC Santa Cruz in 2015 through gifts from campus supporters and matching funds from the UC Presidential Endowment Fund. Increasing support for the Baskin School of Engineering and endowed chairs are goals of the Campaign for UC Santa Cruz, which to date has raised more than $223 million in resources for the campus. The Campaign for UC Santa Cruz supports excellence across the university through increased private investment in the people and ideas shaping the future. It is bringing critical new resources to each academic division, and to signature initiatives in the student experience, genomics, coastal sustainability, data science, and the intersection of the arts and sciences.